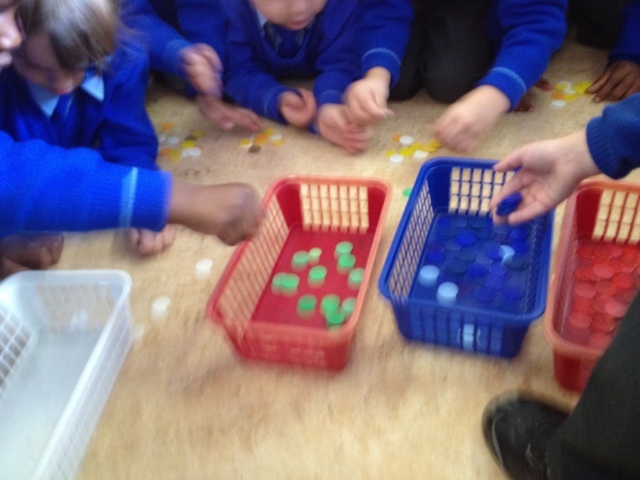 We love sorting. 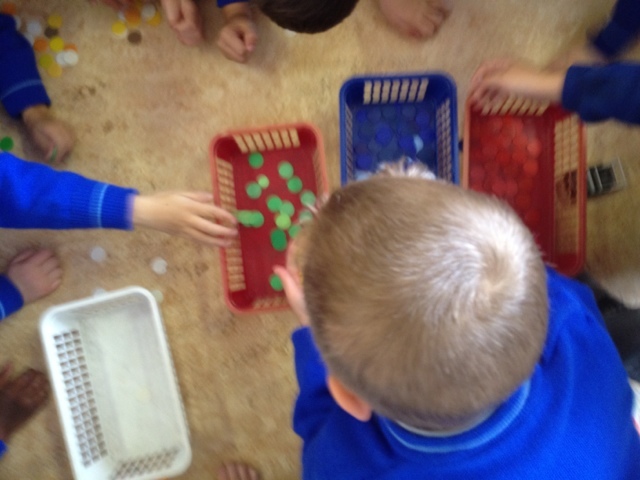 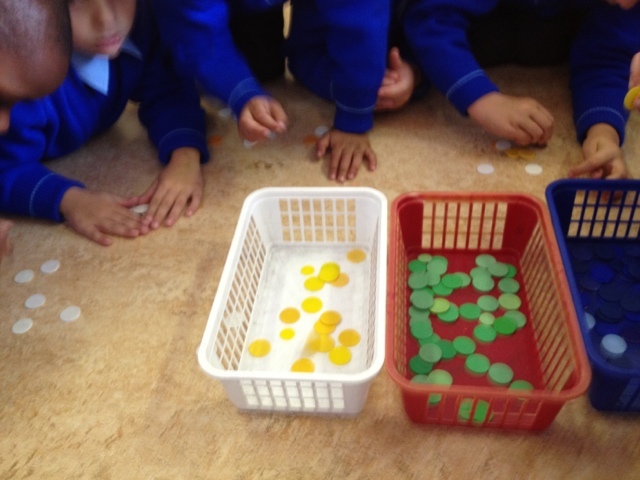 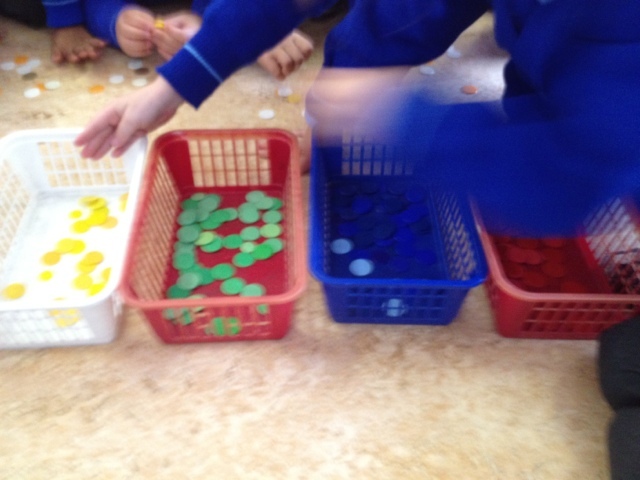 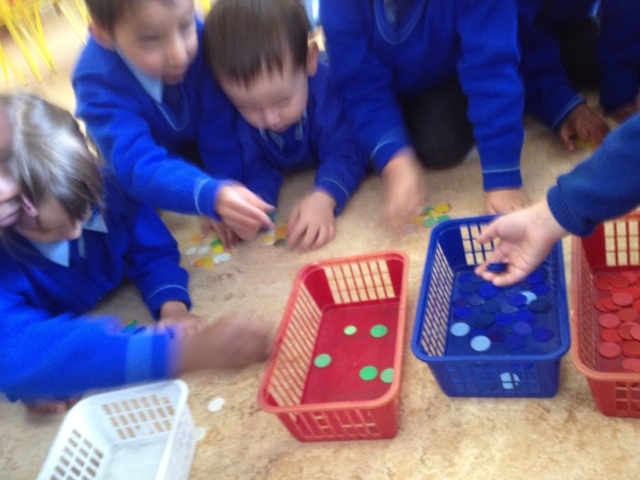 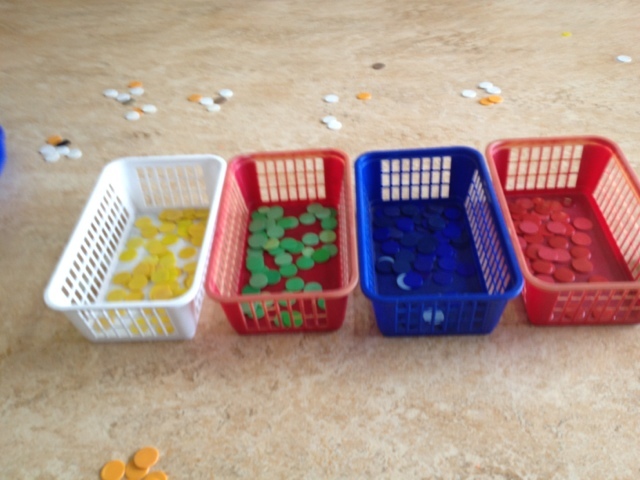 Our first sorting activity was sorting colours. 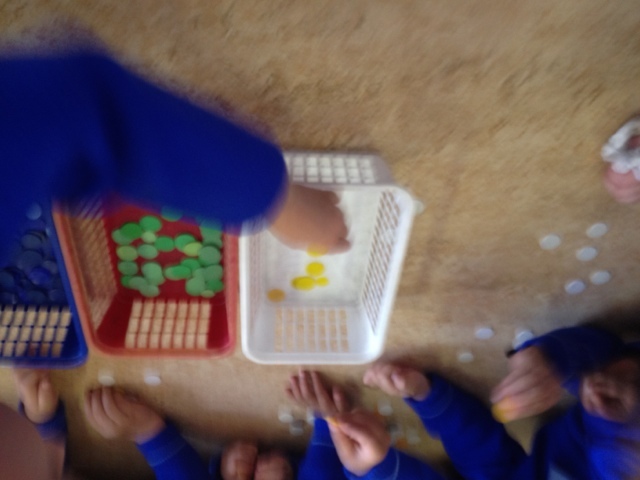 Everyone had a bunch of colours to sort by placing them in the correct basket.